We invite you to learn about our programs and our language-rich curriculum. We offer all three divisions of the International Baccalaureate Program – Primary Years Program, Middle Years Program, and Diploma Program. Our young learners – from Nursery through Grade 4 – are immersed in two languages of instruction, English and Mandarin Chinese. 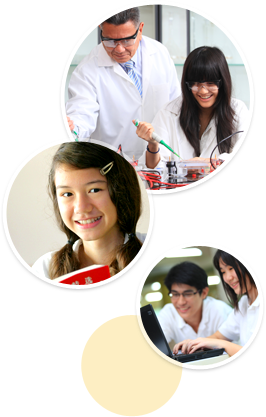 From Grades 5 through 12, English is the language of instruction and Mandarin is studied as a world language. A talented and diverse teaching staff, outstanding facilities and technology, and active and dedicated parents all work in concert to provide our students with an IB education that paves the way for them to continue their post-secondary education at world-class universities around the world. Thank you for taking the time to visit our website and for your interest in Concordian International School. Please contact our admissions staff to schedule an appointment to visit our school and learn more about our programs. “The world needs not only well-educated and intelligent people, but the world also needs them to be courageous and compassionate. We need people who extend their hands to help others and stand up for the rights of all mankind.” Quote from K. Varnnee Chearavanont Ross.